Category: I’m having a baby!! 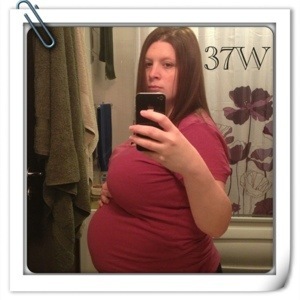 Author beccaPosted on March 3, 2013 March 3, 2013 Categories I'm having a baby! !, Photos, pregnancyTags 37 weeks, Bump photo, pregnancyLeave a comment on 37! I’ve not posted any of my bump photos here, simply because in the beginning I didn’t look pregnant, I just looked fat, and lets face it, who wants to look at a picture of my fat?!? But after about 18 weeks I started to get a little bump. 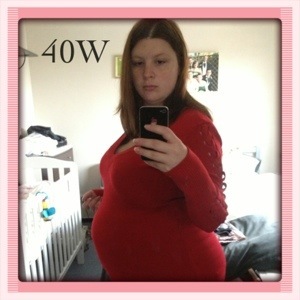 So I started documenting my changing and growing bump every week, mainly for my March Birthing group. Every Friday, the ladies all post a photo of their bump, some are small and neat, others are absolutely huge and look like baby/babies are ready to arrive and some ladies are hardly showing at all! Some ladies are so incredibly brave and post photos of their bare bumps. Me? I don’t think ill post any bare bump shots for a while yet. But here is a photo I took on Friday morning. At exactly 21 weeks. Please excuse the mess behind me and the shot of my drying laundry and the mirror that clearly needs a good spray of window cleaner and a scrub! This is Flump at 20 weeks and 4 days. 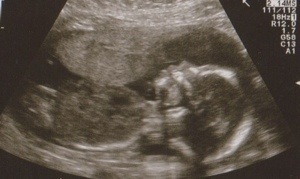 Just chilling, in my womb. A few days ago I was having a conversation with my mother about our upcoming shopping trip. My parent are moving to the Caymans for six months in November and therefore won’t be here for the birth of their 3rd grandchild. So my mother decided that before they left they were going to take my husband and I shopping so they could buy us some baby stuff. Now, the husband and I didn’t want to buy anything just yet, simply because the baby could be a big baby when it’s born or it could come early and we didn’t want the hassle of having to return things. After all, it’s going to be a busy time once the baby comes and I’d rather not be to-ing and fro-ing to the shops. However once my mother has made up her mind, that’s it. Nothing will cause her to change her mind or plans. So we’re going baby shopping. Discussing the essentials, such as baby vests and all in ones, and blankets and towels etc. Mother : and don’t forget a bracelet. Me : why?!? And what if its a boy? Me : but why? What’s it going to do with it? Mother : it’s tradition, you had one! 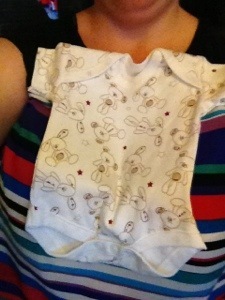 Baby needs one too! God knows what happened to the one I had. My brothers and sister didn’t get them, and my brothers kids didn’t have them. 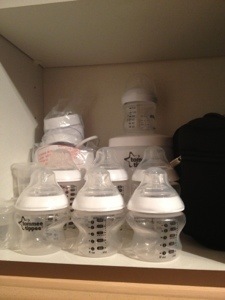 So not entirely sure why my baby needs one. However she’s made her mind up and there’s no changing her mind. So my child will get a bracelet. However I suppose if its going to have one, ill demand it be in white gold. I can’t stand yellow gold and I’ve not got the patience to keep polishing sterling silver, and ill be damned if the baby is going to own any platinum jewellery before mama does. I thought the constant nausea and vomiting was bad, but having a viral bug is just as bad, if not worse (sometimes). Today is the first time in 2 days that I’ve managed to get up in the morning, have a shower and get dressed. Viral bugs are crap, but in the early stages I pregnancy they are even more crap. Normally when I’m sick, I sleep, cough, have the occasional visit to A&E to be nebulized and I stay in bed. This time, thankfully no visit to A&E, I’ve been taking my steroid inhaler pretty religiously, but I have slept, coughed and almost fainted, then panicked as I thought I was having some sort of heart attack. Thank god for husbands who work locally and can be home within 30 minutes following a tearful phone call. Viruses come and go, and to be honest I’m not worried about me being poorly (although it feels horrid) what I am worried about it the baby. I am 15 weeks pregnant and I still have so long to go, and I’m panicked that something is going to go wrong. That my stupid virus could cause me to lose the baby. Which is stupid, as so many people, including my best friend who is a nurse and my midwife have all said that baby will be fine. But it’s my first baby, first pregnancy even and I’m scared. I’d like nothing more than this illness to bugger off so I can get back to work and to normal and be healthy. Unfortunately I suspect this illness is going to last longer than expected in our household, as I’ve given my husband (who has looked after me without complaint) my germs. It’s funny, before I was pregnant it’d take ages to get a doctors appointment or god forbid if I had to go to A&E, I’d have to sit 4 hours before being seen and then wait another 4 to be treated and discharged. Now, all I have to do is start off my sentence with “I’m pregnant” and somehow there’s no waiting times for appointments or to see a doctor. About 5 weeks ago, I started to get some very sharp pains in my abdomen. They were awful. I’d not yet had a scan to check the baby was “alive” and I was concerned, almost to the point of “what if I’m miscarrying?”. I was booked in, checked over and discharged within 25 minutes. All a panic over not much. Turns out that those sharp pains are normal. They are your bodies way of stretching and strengthening to prepare themselves for the heavy load their about to carry. For the last 3 days I’ve had a headache that jut won’t shift. Paracetamol makes only a dent, and I don’t want to keep taking it because of the baby, even though I know it’s safe. The midwife said I needed my blood pressure taken to rule out any pregnancy related conditions, which at this stage is very rare. However to be on the safe side it needs checking anyway. It’s suspected that I’ve contracted some sort of virus, but ill need to see the doctor. Normally it’s difficult to get hold of the doctors surgery, much less get an appointment but it seems the gods that oversee the NHS were looking down on me. After 1 busy signal, then a few rings, someone answered the phone. Expecting to be told come in tomorrow morning, I explained what my midwife said and the receptionist gave me an appointment for this afternoon. Hopefully it’s just a bad cold virus gone to my head and sinuses and not something wrong, but either way, being pregnant certainly has some benefits. I suspect it’s because if they didn’t take pregnant women so seriously, and something went wrong then they’d be sued. Shame it’s not like this all of the time for everyone. I’m writing this on July 21st at one thirty in the morning. 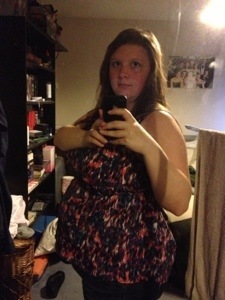 I’m sick and in the early stages in pregnancy, 5 weeks and 1 day to be precise. I’m hot, full of germs and wide awake. I sincerely hope that the rest of my pregnancy is not going to be like this. Morning sickness started on Thursday. Woke up feeling so incredibly nauseated and promptly had to rush to the bathroom to puke my guts up. So far we’ve told just family that we’re expecting a baby. And I’ve told my employer. One in Five pregnancies end in miscarriage before the 3rd month, according to my GP. I’m hoping I’m not that One in Five. But if I am then I’ll have the support of my family. I’m scheduling this post (if you’re reading this) for today. I suspect there will be a few scheduled posts. This blog is where I can speak freely (in theory) and be myself. A way of getting things out rather than doing my typical “hold everything in until it all explodes and leaks out of my ears” routine. So if you’re reading this now, then I’m just starting my 2nd trimester.